WOOSTER, Ohio – A soil fertility specialist with the College of Food, Agricultural, and Environmental Sciences at The Ohio State University is looking to recruit growers interested in helping researchers update the soybean, corn and wheat fertility recommendations for Ohio, Michigan and Indiana. Steve Culman, an Ohio State University Extension soil fertility specialist, is seeking growers to participate in a project to look at nitrogen, phosphorus and potassium in soybeans, corn and wheat as part of an overall effort to update the tri-state fertility recommendations. The project involves casting a broad net to collect data from a large number of farms to determine the most economical and most effective fertilization rates for soybean, corn and wheat. The current tri-state recommendations are over 20 years old and need to be updated to reflect the growing conditions now. Culman said he is hoping to work with 30 growers per crop for the duration of the research project, which will involve applying fertilizer to some replicated strip plots and leaving others without fertilizer. Farmers would get to choose which nutrient they’d like to work with and be allowed a large degree of flexibility in the plot layout and application rates, he said. Field trials. Crop consultants and co-op agronomists can also be paid for helping to facilitate the trials on their clients’ fields, Culman said. * Soil samples before planting. 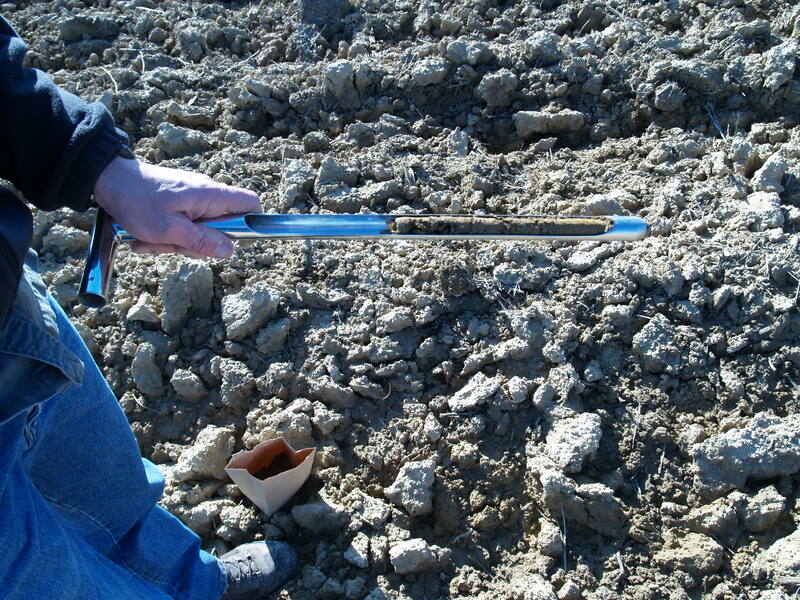 * Leaf tissue samples for nutrient analysis at early reproductive stage. * Grain yields and nutrient analysis of grain at harvest. Participants will also be asked to complete a short questionnaire about soil management, he said. The tri-state fertilizer research project is funded through check-off dollars through the Ohio Soybean Council and the Ohio corn and small grains marketing programs, he said. Growers interested in participating in the research project can contact Culman at 330-263-3787 or culman.2@osu.edu. More information can be found at go.osu.edu/fert-trials.